At 32 weeks, I had a nice little Birthplan in place. Knowing that I would be induced at 37.6 weeks meant I had enough time to get ready. I read all the horror stories I could find and also the amazing induction stories. Sadly, my experience was like none other I read about. I’ll start from the beginning to give you all a very realistic view of what happened. Since the second trimester of my pregnancy, I was closely monitored due to gestational diabetes, anaemia, hypothyroidism and very low levels of Vit D ( something I needed prescription vitamins for. As over the counter ones weren’t enough). Although my thyroid issue was under control and I had meds for Vit D, my anaemia and GD were difficult to control. A strict diet didn’t make a difference to my glucose levels, and neither did Metformin. So I had to be put on insulin along with the diet and tablets. For someone scared of needles, self injecting was traumatising. Still, I got through it and eventually found ways to make self injecting easier on myself. I was put on insulin at 16 weeks and had been on it since! Regular hospital visits and scans made me feel reassured about baby’s health. The only issue was that baby was on the larger scale, 97th centile to be precise. At 34 weeks, I started getting hypos ( GL below 4.0) and this wasn’t a good sign. No one seemed to care much about it when I told them, so I assumed it was all okay. Baby’s movements had been reducing by week 36 and dropped dramatically at week 36.5 days. Off to the Day Assesment Unit I went to get things checked over. I am not a big fan of visiting the place as most of the midwives make you feel like an idiot for worrying about your baby’s well being. Luckily, today wasn’t one of those days. I was met by two wonderful midwives that were so busy, it was unrealistic to expect them to be able to do their job well. But they both, proved me wrong. They made every woman in the unit feel special and cared for. Midwife Tracy sent me in for an urgent growth scan and it was a good job she did as baby’s growth had stalled over the last two weeks. More monitoring and checks led to a doctor coming in and telling me it’s time to be admitted in the hospital for close monitoring and brought my induction forward to Sunday. Friday was all about being monitored every hour and Saturday evening, things started taking a turn. During one of the evening check ups, baby’s heart rate started dropping and stayed low. Midwife Gemma ( my hero) came in running, pulled the main alarm and within minutes my bed was surrounded with about 10 midwives and god knows who else. 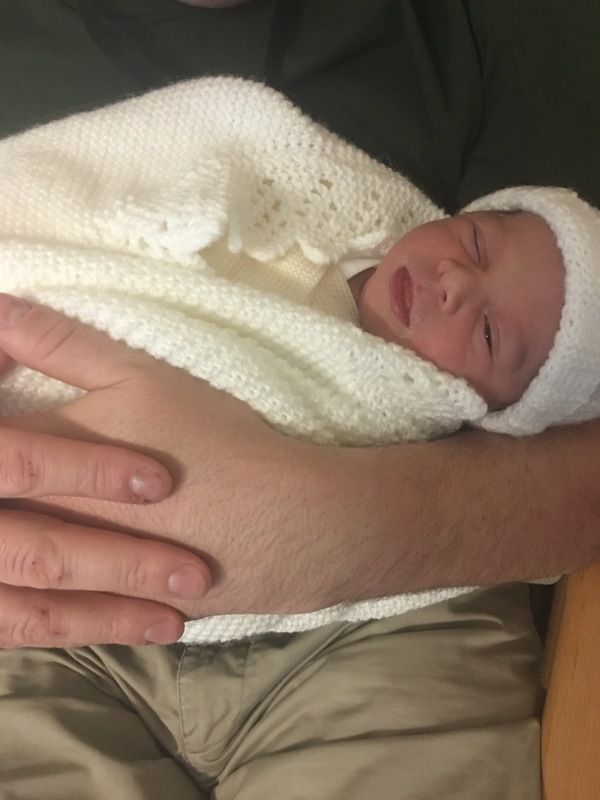 I was rushed to delivery suite and even though I was being told it was going to be okay, the thought of something happening to my miracle baby sent me into utter panic mode and shock. I started shaking all over whilst trying to calm myself down. Second later, my bed was in a room full of consultants and more medical professionals. I was put on a drip to get baby going whilst being given other meds to help. At this point, I am not entirely sure what’s happening due to the state I was in. A long while later, baby started calming down and I was told it was time to start the induction process to get this baby out. My husband was called out at 1am and we started the journey at around 2am. Pessary went in and within a couple of hours I started contracting. This went on for hours, till they decided to start give me my first dose of induction gel. I had been contracting quite well, but my cervix did not want to thin out. By the time the gel went in, I was contracting for England! Midwife was surprised As to how I was managing the pain. Mostly, this was because I was dead tired and doing breathing exercises to keep going. Second dose of gel and another internal examination with gas and air was the tipping point. I was contracting as if in labour and the examination made it much more painful. With the pain I was in, I went for a walk up and down a steep hill (during really awful contractions), climbed nearly 600 steps and nope, nothing helped. I was exhausted. I hadn’t slept much and it was all breaking me down. In the end, it was decided an emergency C section would be the best option. The problem with it was, my fear of injections and operations. Although I was absolutely terrified, I muttered up enough courage to just do it for baby’s sake. The staff were magnificent! They even let me play my Spotify playlist to keep me going and it sure as hell helped! Baby Eloise Maria Christina was born at 6lbs 8 ounces on Tuesday. She was crying just like I hoped she would and immediately, all the hell I went through just disappeared. My rock of a husband had been through it all with me and we both couldn’t help but laugh, smile, cry and be joyful all at the same time. We did it! Against all odds, we became parents! I know it will sound cliche, but she really is perfect! Thank you God, family, friends and everyone who helped bring her in this world safely. Thank you so much! Thank you NHS! Follow my blog to read my next update on breastfeeding, 24 hours in hospital and our first night home. Lactation Cookies and much more! Breastfeeding secrets. God bless you and your beautiful angel. Long life to your beautiful and blessed Elouise.Many hugs from us .